Munnar tourism is increasing in popularity as it is easily accessible from the tourist hub of Kochi, coastal Kerala. In the Idukki district of Kerala, Munnar is a fairly small town and an enjoyable place to wander around with small cafes, chocolate, tea and coffee shops and colourful markets. Leave the town however and you see why people really visit the region. 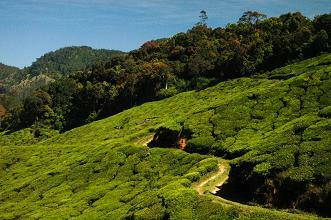 Acres and acres of tea plantations fill the hills that surround Munnar. Stretching as far as the eye can see the green palette of the fields make the world look like a bizarre pointillist painting. Add to this the immense ridges and peaks of the Western Ghats rising above the clouds and you can see why Munnar tourism is becoming more and more popular. Top Station 32 kms from Munnar town on the border of Tamil Nadu, Top Station has stunning views of the Western Ghat mountains. Buses leave from Munnar 4 times a day, or rickshaws/taxis will make return trips from R.400/R.800. A small entrance fee is charged to reach a plateau view point with a panorama of deep valleys and misty peaks (more info below). Mattupetty 13 kms from Munnar this is the site of an incredibe dam in beautiful scenery. The Kerala Livestock Development Board breed cattle in the nearby hills and visitors can see the farm between 09:00-11:00 and 14:00-15:30. Trekking Trekking here is becoming an alternative to the popular routes of the Himalayas, and offers greater solitude with equally wonderful views. 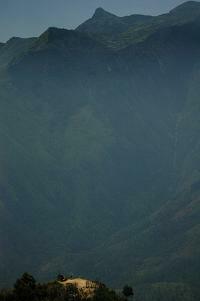 Contact the DTPC Tourist Centre in Old Munnar (tel 04865-231516) for treks of 3 hours to 3 days. Chinnar Wildlife Sanctuary Stay in a tree-top hut at the sanctuary 60 kms from Munnar and look out for wild elephants. The Forest Info. 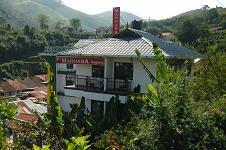 Centre is in Munnar (tel 04865 231587). Click here for more of Kerala's wildlife sanctuaries! Munnar sits 1450m above sea level in the hills of Kerala's landlocked Idukki district. 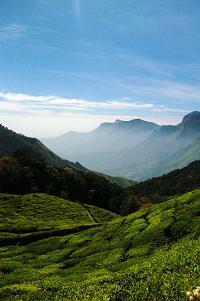 Munnar is very close to the Tamil Nadu border and Tamil is spoken here as well as Malayalam. The Mount Carmel Church and Saint Anthony statue are good orientation points and are in the centre of town. Most of the budget accommodation can be found in this area. The rickshaw stand, bus stand (for buses to Coimbatore, Kottayam, Ernakulam near Kochi, Trivandrum and various other destinations) and a Munnar tourism info. point are visible from the statue. To the south of the town centre along Alwaye-Munnar (AM) Road is Old Munnar where the DTPC tourist office is situated - great for local maps. The KSRTC bus stand is slightly further south on the same road. To the north of the St. Anthony statue lie the markets - great for a morning's browsing. Munnar tourism shows a peak when, once every twelve years the Neelakurinji bloom, carpeting the surrounding hills in blue. The tribal Paliyan people used to use this flower to calculate their age. It last bloomed in 2006. Munnar is not accessible by rail (hence why Munnar tourism remains wonderfully low-key) and most visitors arrive by bus or coach. If you arrive at the KSRTC Bus Stand in Old Munnar and have heavy bags you could get a rickshaw to the town centre (R.20 or so) to find the majority of the budget accommodation. Some taxi/rickshaw drivers will drive to Munnar from nearby major towns e.g. Kochi/Kottayam (see distance chart beneath). Buses depart Munnar from the Bus Stand in the town centre (across the road from the St. Anthony statue). 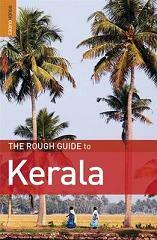 10 per day leave for Ernakulam/Kochi (5 and a half hrs), several to Kottayam (5 hrs), Kumily (4.5 hrs) and Trivandrum (9 hrs). There are also buses to Coimbatore (good for access to Kodaikanal) and Madurai in Tamil Nadu. If you want to enjoy Munnar tourism on a tight budget, there are some low-priced options around the markets in Munnar town. Some are a bit dire and if you are prepared to spend just a little more you'll find reasonably priced options scattered throughout the small town. We stayed at the Marhaba Regency for four nights at R.600 a night, though a bit of negotiation was involved. It is near the town centre up MG Road (behind the St.Anthony statue) and to the right. The rooms were clean with balconies and hot water (always worth having when in the hills). Another option near the town centre slightly more expensive is the Kaippallil Homestay (www.kaippallil.com) behind the Mount Carmel Church. If you are prepared to splash out and want to stay outside of town there are some beautiful upmarket options such as Dew Drops (tel 0484-231555) which is 20km from Munnar (phone for pick-up) which is set in a 97 hectare spice plantation - R.1000+. Most nights fast food stalls pop up by the rickshaw stand in the town centre and serve delicious noodles or curry for tiny prices. Grab a seat behind the stalls and watch the cooks expertly serve the food. Not to be missed is Surya Soma by the State Bank of Travancore just south of the rickshaw stand (on the right). Delicious north Indian food and Chinese is served here as well as morning dosas for great value. The Pink Floyd music played here gives the place a slightly surreal edge. If you are by the Munnar Tourism (DTPC) Office in Old Munnar, look out for the SN Restaurant where you can get cheap and tasty Indian food. Four buses leave from Mattupetty Road (check before travel) in Munnar from 7:30 am. The roads around Top Station are very poor. If you go by taxi/rickshaw, make sure the driver takes you all the way and doesn't stop at an earlier viewpoint to avoid the roads! 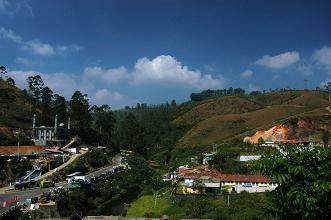 The road stops at Top Station where the Periyar Residency hotel looks out over the valley. A small cafe on the roadside just before the hotel serves wonderful cheap Keralan food. Entrance to a view-point on a platform overlooking the valley and mountains is well worth the few rupees you will pay. Snacks and refreshments are available, the path is pretty steep. Munnar tourism season is between October and May. At all times of the year, bring warm clothes since temperatures can feel chilly even in summer. Munnar tourism takes travellers out of the common haunts of most foreign tourists. If this is what you are looking for have a look at our pages on Kodaikanal and Wayanad hills for further ideas/inspiration.